Yes! 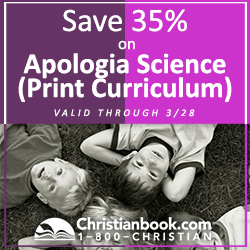 Hurry to ChristianBook.com to save 35% on Apologia Science Textbooks and Journals! This is not a sale that comes around often! We need Astronomy for next year so I’m going right now to get our books! Apologia for 35% off at ChristianBook.com ends March 28, 2017!